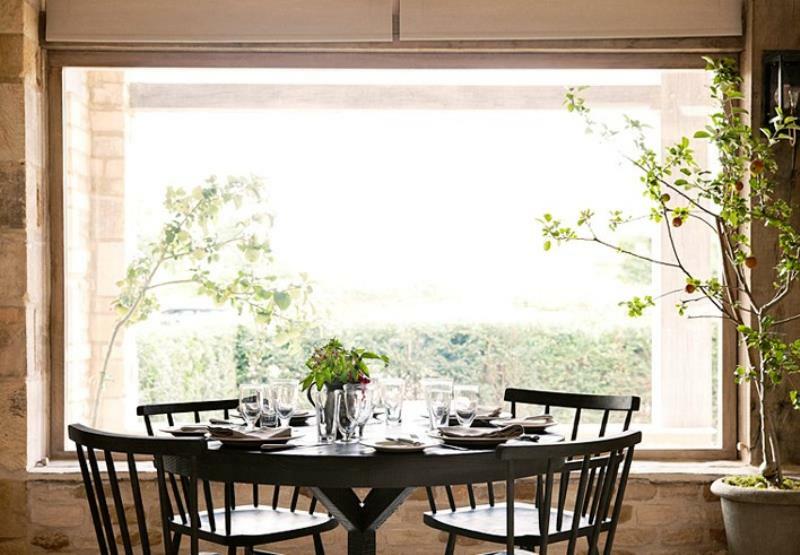 September 2013 saw the launch of The Wild Rabbit set in the unspoiled village of Kingham in the Cotswolds, formally known as The Tollgate it was bought by local resident Lady Bamford of Daylesford organic farm fame. After a short period of closure, the Grade II listed former Georgian farmhouse has been lovingly and sympathetically restored achieving an eclectic mix of old and new. 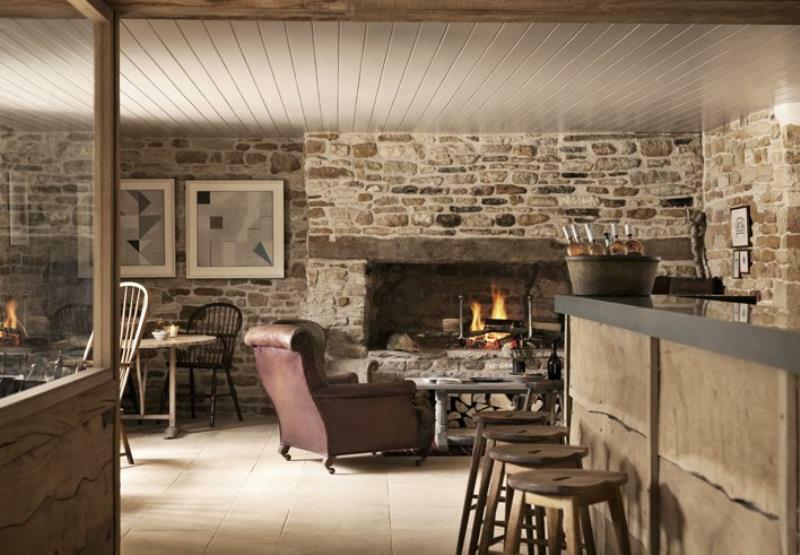 With a cosy log fire surrounded by comfy settees, the main dining room a recent addition to the building, is light and airy with a rustic country style flair featuring an open kitchen with a Josper grill. Nathan Eades the former head chef of Michelin-starred Simpsons in Birmingham leads the kitchen brigade. He has set his sights high and is serious about procuring top-notch supplies, organic where possible from British farmers, heritage breeds and artisan producers, with seasonal game making an appearance. The Wild Rabbit has been awarded three prestigious AA Rosettes. 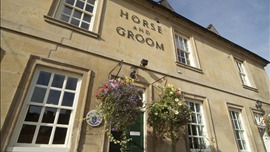 To start you might opt for the crisp pigs head croquette with piccalilli or on the fish front choose the warm smoked salmon and crab, poached egg and watercress sauce. Main courses embrace whole roast partridge in salt crust, red cabbage and pommes cocotte or poached wild halibut, oyster, razor clams, seaweed and shellfish broth. To finish indulge in desserts in the shape of dark chocolate mousse with dulche de leche beignet or pistachio and polenta cake, goats curd sorbet and blackberry soup. The wine list highlights renowned small producers from around the world with a focus on sustainable and organic vintners. On a fine day al-fresco dining takes place on the front terraced garden and in the rear courtyard. 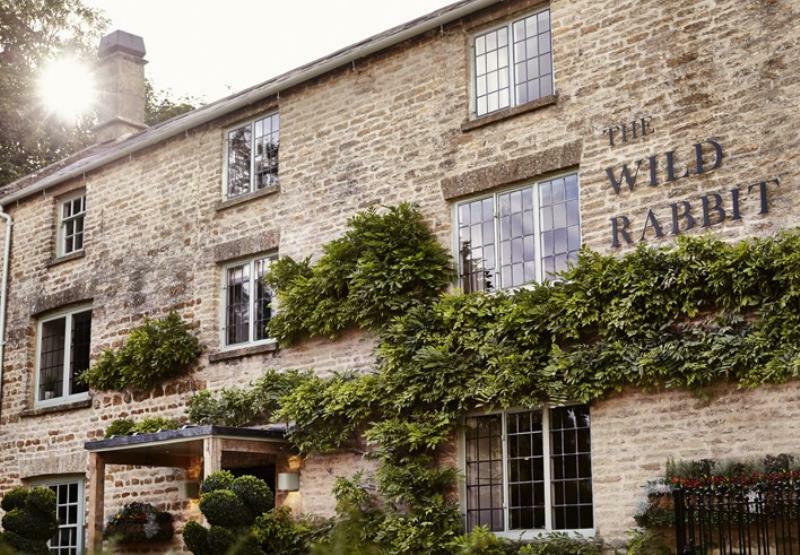 The Wild Rabbit has twelve stylish bedrooms should you wish to extend your stay and explore some of the most scenic and historic countryside in Britain.